CORONA, CA – CIRCOR Aerospace, a business unit of CIRCOR International (NYSE: CIR), has selected Kayce Kraft as Product Line Director for California. He will report directly to CIRCOR Aerospace California Vice President and General Manager, Steve Alford and a dotted line to Steve Cartolano, Group Vice President of Business Development and Strategy. Kraft will lead the fluid control and actuation and landing gear product lines’ customer support team, as well as drive the strategic and daily management of product line sales. He will provide sales demand input to SIOP and target accounts to promote new business growth. Kayce will also use his 17+ years’ expertise in managing multi-functional teams with CIRCOR’s global distribution and representative networks, focusing on the alignment of product line value streams across the California businesses. Kraft’s most recent position was After Market Business Team Leader at Parker Hannifin Corporation, where he was responsible for the commercial and military flight control after market business. 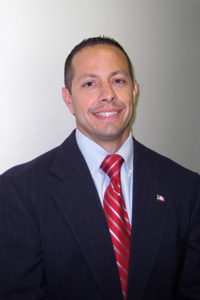 Prior to that, he held a variety of leadership roles at Parker and the United States Air Force in customer support, operations, contracts and programs. Kraft holds an MBA from Webster University at Irvine, CA and a Bachelors degree in Economics and Business from the Virginia Military Institute in Lexington, VA. He is also PMP certified. “We are pleased to have Kayce complete our dynamic leadership team in California,” noted Steve Alford, Vice President and General Manager for CIRCOR Aerospace California.